West Coast Canning chief operating officer Mitch Evanecz examines his company’s newly-arrived Videojet model 1860 continuous inkjet printer that will be incorporated in one of the company’s four mobile canning systems in B.C. that are taken to a craft brewing facility to apply clean and highly legible lot code data during canning operations. Sometimes being the first to try something new is a recipe for disaster. Conversely, it can help establish a tremendous early lead in a hitherto undiscovered market. 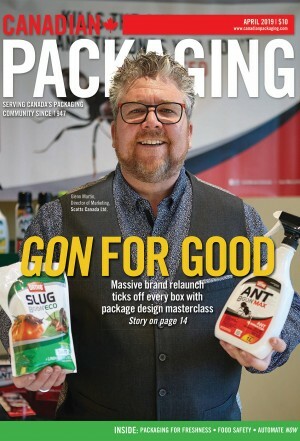 Such is the case for West Coast Canning Inc., Canada’s first mobile canning company that provides a cost-effective, full-service packaging solution for craft brewers, cideries and wineries in British Columbia and Alberta. to the market, providing shrinksleeve application, printed cans, and blank cans, as well as a mobile canning service. Evanecz and Pederson, along with Jeff Rogowsky and Matt Leslie are the owners of West Coast Canning. 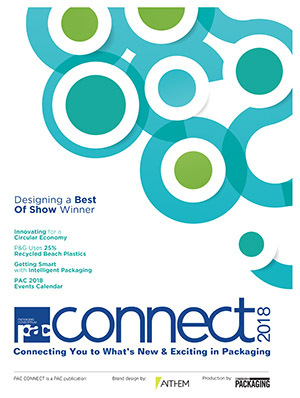 As Evanecz explains, his company also provides custom stacking and wrapping of pallets to suit customer equipment and facility capabilities or restrictions, to make receiving of the product as simple as possible. 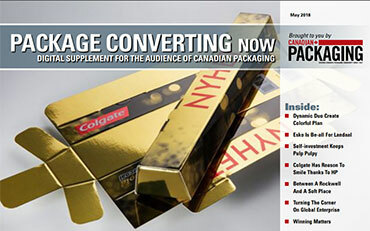 “And, we have also begun to offer design services for shrinksleeved and printed cans customers,” reveals Evanecz. 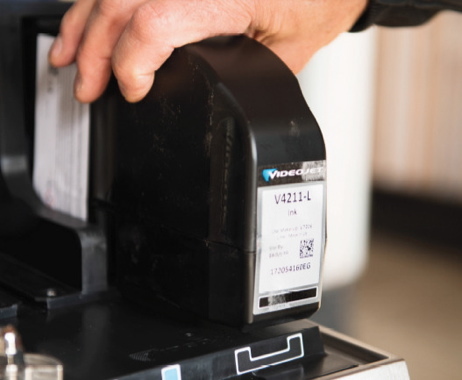 The new Videojet 1860 coder purchased by West Coast Canning features a large one-liter Smart Cartridge that includes an embedded microchip to ensure that only compatible fluids are used, helping prevent possible operator error. West Coast Canning typically runs two-person crews, with six mobile canning lines—four in B.C., and two in Alberta. The company employs four model WGC-250 canning lines with four-head fillers, manufactured by Wild Goose Canning Systems (WGC) running at speeds of 30 to 40 cans per minute. The semi-automatic WGC-250 fillers use a WGC Lid Placement Station that tracks lids through the chute to ensure accurate dispensing, seating and retention of lids to aid low dissolved oxygen levels. The system’s patented Seaming Station also provides a precise and airtight seal, ensuring customer products remain fresh in the can until opened. 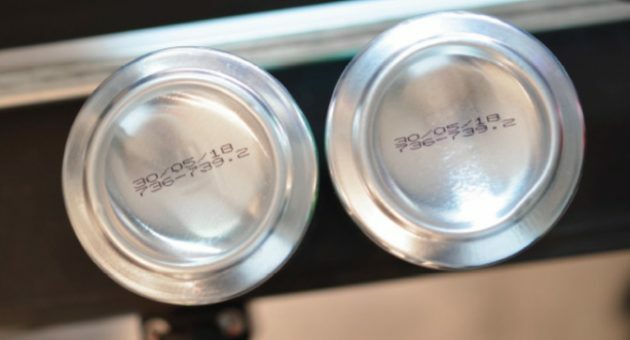 A sample of high-quality coding that can be applied to the aluminum cans with the new Videojet 1860 coders with applied date and lot code data shown here printed to the bottom of a can. The Videojet printhead can be adjusted to apply marking anywhere on the package. 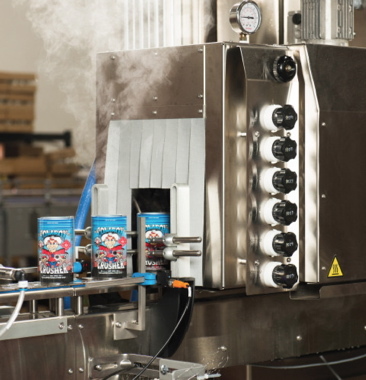 The clean-in-place process begins with the running of a cleaning agent through the product hose and fill lines, which West Coast Canning then rinses with water. Next, a special ATP (Adenosine Tri-Phosphate) swabbing device is used to detect the presence of any organic matter. is a pass or fail, and we will run the clean-in-place again to ensure everything is clean before we show the results to the customer. “Once that is done, we run a sanitizer through the lines before we begin the actual canning process,” says Evanecz. equipment to assure it is doing everything possible to provide the best mobile canning service. “We have carbonation (CO2) and oxygen (O2) testing devices that probe the product’s CO2 and O2 levels in the tank prior to canning, and to also determine what levels are in the can after filling. “This before/after test allows us to ensure the canning process is optimized, allowing us to obtain the very best results for the canned product,” explains Evanecz. seam, ensuring each can is properly seamed for optimal product shelf-life. The machine records and saves these readings from each canning line, so that West Coast Canning can track each canning line’s history and monitor the quality of the seam. The mobile canning operations of West Coast Canning, here performing its services for Strange Fellows Brewing Company in East Vancouver. 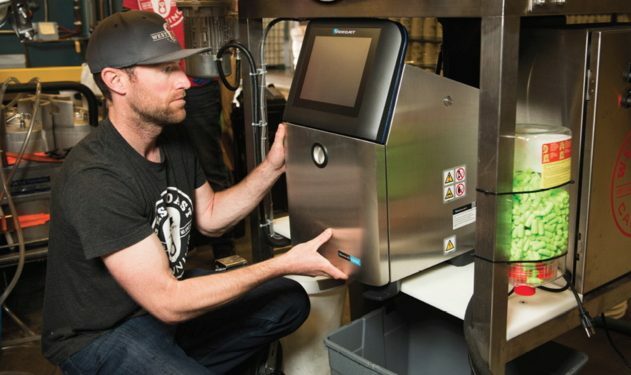 Depalletized pre-printed aluminum cans of beer move down the line to a Wild Goose filler and seamer, where a Videojet coder applies the brewery-specific data onto the cans before being hand-packed into corrugated trays. shrinksleeved can, or a blank can known as a silver bullet. The hybrid tunnel uses a combination of dry heat and steam to shrink the label onto the can consistently and efficiently at a rate of 180 to 230 cans per minute, according to Evanecz. At the West Coast Canning facility, it also runs a second sleever—an Aesus Eco Shrink—that it typically runs at 60 to 80 cans per minute, usually for specialty products and short runs. Evanecz says that the company’s label suppliers provide them with the customer’s designated labels on rolls of 4,000 to 5,500 labels per roll. West Coast Canning currently utilizes five Videojet model 1550 small-character continuous inkjet coders on its mobile canning operations in B.C. and Alberta. the West Coast Canning two-man crew arrives early in the morning to begin setting up the equipment. 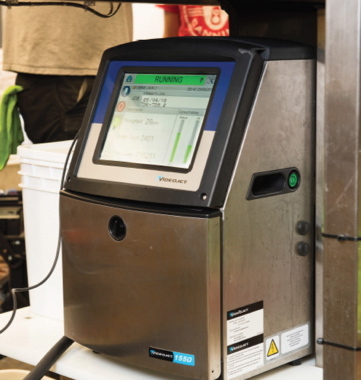 “Upon arrival, we test the product in the tanks with our Penair Hoffman Gehaltemeter, ensuring the carbonation and oxygen levels are at optimal level to prevent product loss or production downtime,” Evanecz relates. 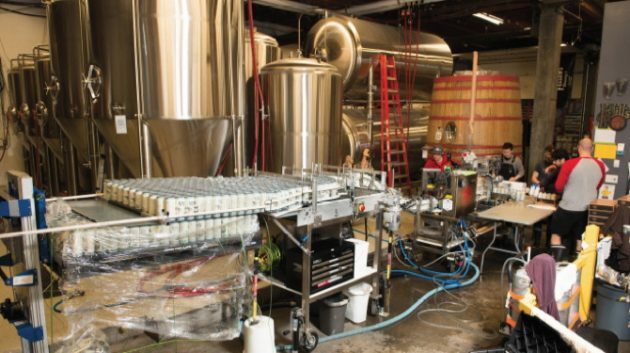 The crew then sets up the mobile canning line, the depalletizer and coding equipment, prepares the cans, and runs the cleaning cycle before connecting the product hose to the customer’s bright tank prompting the liquid to pass through the canning line for packaging. The customer’s workers will then stack the filled finished product onto pallets, to be distributed at their schedule. Once finished, Evanecz says his crew will run a post-run cleaning process, pack up the equipment and any leftover goods into their truck, and vacate the brewery. For product coding, the West Coast Canning lines make optimal use of continuous inkjet coders manufactured by Videojet Technologies, Inc. 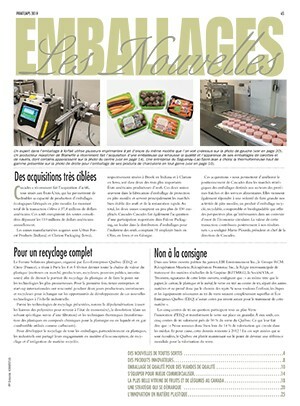 According to Evanecz, the company has five Videojet model 1550 and one model 1860 coding units for the mobile canning lines, with two 1550’s in Alberta and the rest in B.C. It began with a 1550 purchased when the company started out, with others added as the company expanded its operations, with the 1860 arriving in May of this year. Cans of Cowboy Crusher Stampede Session Ale, brewed by Parallel 49 Brewing Company, enter an Aesus Packaging System hybrid tunnel that uses a combination of dry heat and steam to shrink the plastic film labels tightly onto the cans. The coder features Code Assurance functionality that eliminates common coding errors by guiding operators to put the right code on the right product time after time. menus, calendar displays, and pre-defined formats to help ensure correct entries. “It helps operators examine and explain the root cause of any downtime, allowing them to take timely corrective action and boost productivity,” says Gooch. Offering a maximum line speed of 914 feet (279 meters) per minute, the core life of the coders is up to 12,000 hours, the coders incorporate plug-and-play printhead modules for ease-of-use, and provide ample message storage capacity, allowing users to store 250 different customer-specific codes. As well, the operator interface utilizes the CLARiTY 10.4-inch color touchscreen, that provides operators with a true ease of use, showing real-time fluid levels, maintenance alerts, print jobs and other operational information. “The CleanFlow technology in these machines helps reduce ink build up in the nozzles, while an internal pump minimizes opportunities for potential contaminants to enter the ink stream,” Gooch says. Gooch adds that the Smart Cartridge fluid delivery system eliminates spills and helps ensure that the correct fluids are being used, while ensuring all of the fluids contained within are used up completely. “Along with our ‘Green Ink’ fluid options, all of our cartridges are 100-percent recyclable,” Gooch notes. Exiting the Aesus hybrid shrink tunnel, the cans are checked by West Coast Canning staff to ensure quality before they are palletized and either shipped to craft beverage customers with their own canning lines or are brought by West Coast on the day of filling by its mobile canning line crew. “The 1860 is designed to help improve productivity with a linear speed of 960 feet per minute, while lowering costs over the life of the coder,” states Gooch. The 1860 also uses breakthrough predictive capabilities with enhanced sensing and data processing, enabling it to alert users of any potential unplanned downtime. “With the advance notice, crews can take corrective measures to help ensure maximum line efficiency,” Gooch offers. Adds Evanecz: “We like that the Videojet coders provide us with robust performance—a very important factor considering we are constantly moving and transporting it from site to site. “As well, it provides a nice, clean code on the cans ensuring we can provide our customers with the much-desired quality assurance,” Evanecz notes. The 1860 coder uses a unique nozzle system, featuring a new coaxial charge electrode specifically developed to help improve print quality. The system’s Dynamic Calibration provides independent viscosity monitoring and control, thereby removing the need for the system to get up to temperature before beginning a print job. The printhead utilizes a 45-degree slanted design that Gooch says delivers better line integration, as well as more mounting options. 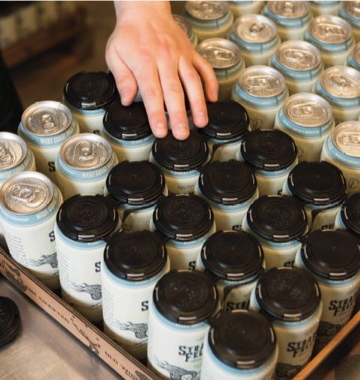 At Strange Fellows Brewing Company, a worker hand-applies the plastic model 202 QuadPak can carriers manufactured by PakTech that are not only efficient, but are environmentally responsible, too—made from post-consumer recycled #2 high-density polyethylene. Evanecz says he is happy with the equipment performance and technical support he has received from Videojet. “We purchased the Videojet coders because of the high quality, dependability, easy-to-use operating system, and the customer service,” mentions Evanecz. “Their customer representative came to our location, saw and understood the business, and recommended their 1550 model to us,” says Evanecz. drink) beverage manufacturers using the company’s services. “The value-added bonus of West Coast Canning’s services,” sums up Evanecz, “is that we provide all the equipment, experience, knowledge of cans and canning that allows smaller facilities to utilize our existing until they have sufficient production that makes sense for them to make a more substantial capital investment. “Because we are invested in helping our customers succeed, we also know that we need to continue to increase our availability to the customer,” he concludes. 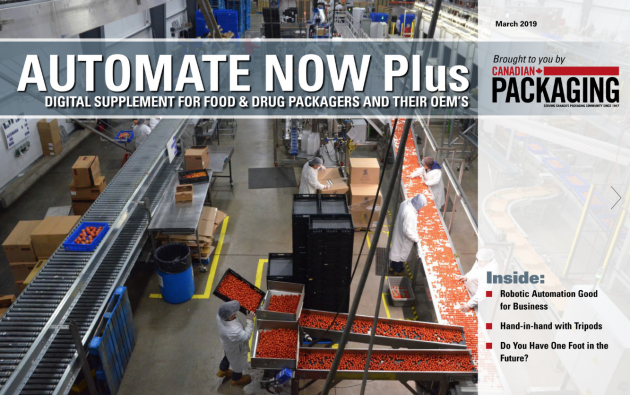 “That’s why we got into providing canning and sleeving options for customers in the first place.